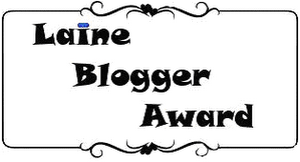 Within the past few weeks I have got some awards from my friends and fellow bloggers for which I would like to sat a big THANK YOU to all of them. There were two awards from Radha and Sita amazing girls from the blog called Buttonsapart. 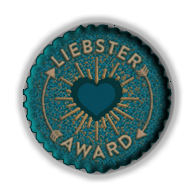 They gave me this Liebster blogger and one lovely blog award. So, thank you Girls, I love you both. Now, a new friend but seems that I know her for so many months. She is Rasa Nandini from MyNoblesecrets. I quiet like the fact that she always brings us some new home remedies that can be really useful. 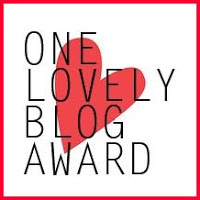 She gave me this one lovely blog award and Laine award. Thank you Nandini.. You are a great person!!! And these are the questions I have to answer. My Current Obsession is my three pair of new contact lenses. I would love to be the owner of a 88 color palette, what more an eye makeup junkie can lust for. I always love reading about skin care tips the natural ways. My love for beauty and make up and some knowledge that I have gained in the past couple of years like a learner, not an expert yet. Now, a newly found friend Neha Mishra from Scribbleyourthoughts. She is a very sweet person. I like her and always feels great to visit her blog. 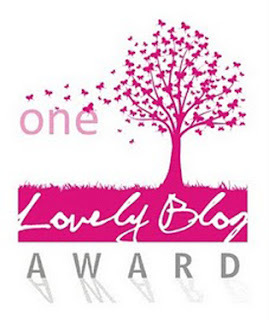 She gave me a lovely blog award, she herself is a lovely person. Here comes my old and dear friend and I am sure most of you would know her as she is none other than Demi Mist from BeautyandtheMist, an amazing person, mom, homemaker and a very talented and creative person. I like her so much. She gave me two actually, leibster blogger and a lovely blog award. And last but not at all the least Anna from http://beautycafebyanna.blogspot.in/. 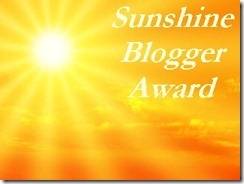 She gave me this sunshine award. Time to pass on the award now. Coming to see more dishes on your site! It was my pleasure dear!! It was my pleasure to pass on, you are such a sweetheart Richss. Congratulations on all your awards and thank you so much for thinking of me! I gave you another award too as a gift, but I don't know if you have seen it. You don't have to post about it, I just don't know if you saw it. It's the first picture here http://www.beautyandthemist.com/2012/09/23-autumn-awards-and-special-awards-to.html and it was only for you. Ohh, i remember seeing it but do not know how come i forgot. I am glad that it was meant only for me. love you Demi!! !